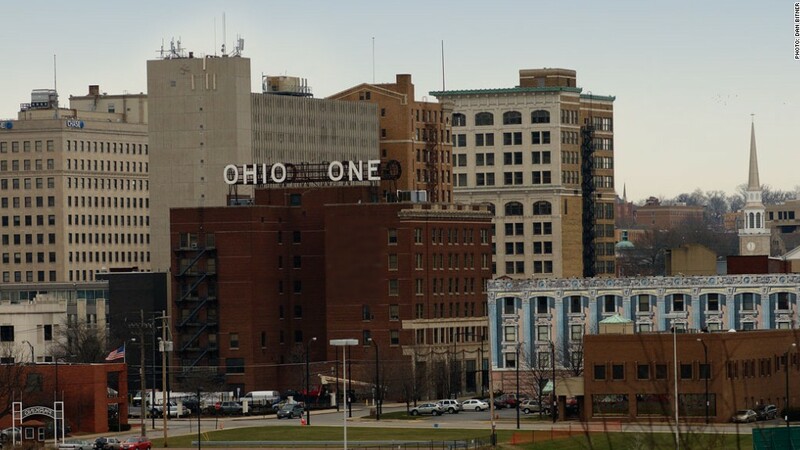 Youngstown, Ohio has some of the most affordable homes in the United States. It just got a little harder for most Americans to buy a home, according to an industry survey. Nearly 74% of the new and existing homes sold in the three months ended June 30 were affordable to families who earn the national median income of $65,000, according to the National Association of Home Builders (NAHB) and Wells Fargo. That's down from 77.5% a quarter earlier, but still a very high level of affordability, historically speaking. Rising prices were responsible for the decline in affordability. Median home prices were up in 92% of the markets surveyed, while median income didn't budge. Barry Rutenberg, NAHB's chairman and a home builder from Gainesville, Fla., said the decline in affordability was a positive sign for the market. "[It's] another signal that the housing recovery is starting to take root, and it lends needed confidence to prospective buyers and sellers who have been reluctant to move forward in the current marketplace," he said. The decline came despite record-low mortgage rates. The 30-year fixed rate averaged almost 4% at the end of March and dropped to 3.66% by the end of June, according to Freddie Mac. But that wasn't enough to offset price increases and stagnant wages. Among major housing markets, Youngstown, Ohio had the most affordable prices. In the old steel manufacturing town, 93.4% of homes sold could be comfortably purchased by residents with the typical family income of $55,700. Dayton, Ohio, Buffalo, N.Y., Indianapolis, Ind., and Modesto, Calif., ranked as the other most affordable large markets. The leader among smaller housing markets was Fairbanks, Alaska, where 98.7% of homes sold were affordable for the average household. Other bargain markets include Mansfield and Springfield, Ohio, Carson City, Nev., and Kokomo, Ind. The New York metro area was the least affordable market, with only 29.4% of homes within reach of the average family. The least affordable small markets were Ocean City, N.J., San Luis Obispo, Calif., Santa Cruz, Calif. Dover, Del., and Santa Barbara, Calif.